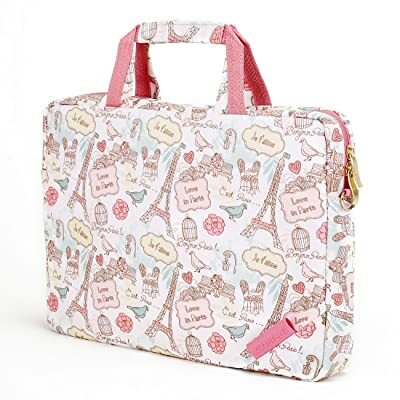 Our heart is always melted by cute things and can’t deny that we always want to own them, from cute shoes, cute clothes, cute earphone, cute phone holder and now is cute laptop bags. 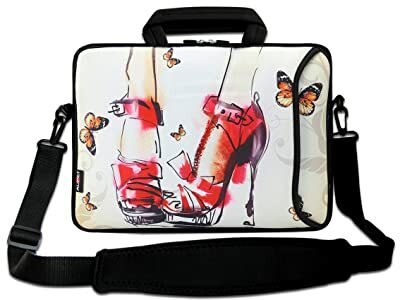 It’s much easier for ladies or girls to carry a cute laptop bag to school or university. But with an office woman, it will be much harder because with an unsuitable bag, your professional image will be judged. Am I right? 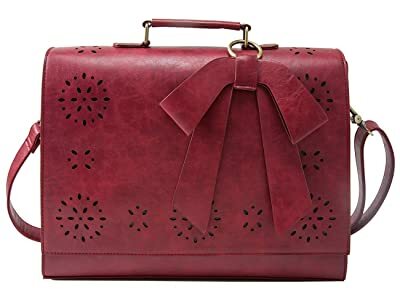 Those who say office women can’t carry a laptop bag to work means they haven’t found out a true cute yet professional one. In this article, I’m going to give you some. Don’t miss out! 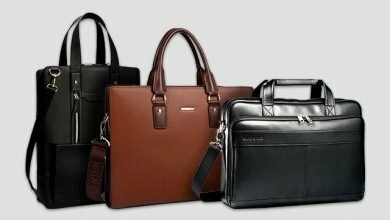 ECOSUSI leather laptop bag is the best bet for those who are in need of a versatile piece for any occasions, from casual carry, hanging out, to school/university and office. 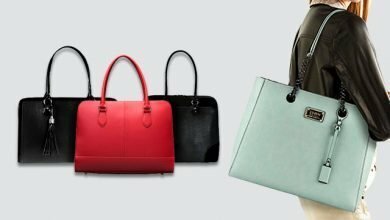 The reason lies in its high-grade PU leather emphasizing really low maintenance, lightness, soft texture and affordable price. 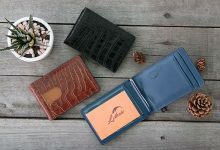 Though this kind of leather isn’t as appreciated as the real, but in comparison to other materials, it’s still durable that can last for years with minimal fraying. Plus, is the tight and strong stitching. There are two sizes to choose from: the 14” and the 15.6”. But to the eyes, it’s pretty small and compact, matching perfectly with average body figure of women. Not saying of 4 easy-to-style color options. Going inside, there is 1 huge compartment, 1 small zippered pocket, 2 small slips, and 1 laptop sleeve with soft padding and a Velcro strap closure. Mine is a 14” bag so, it fits nicely a 13” laptop and some more essentials. Lastly, is the strap. You have got two types of strap, one is the handle straps and two is the removable shoulder trap. Both of them work well. It’s just the shoulder strap is a little bit narrow, plus, there’s no padding so, with heavy load, my body is painful a bit. But that’s only when I’m carrying it all day long. Compared to its affordable price but decent performance, this is perfect! For those don’t ask for a laptop bag that can carry the world, but just a slim design with minimal construction for a 17.3” laptop, a notebook or an iPad and some other flat, thin stuff, this is the one. This is my favorite cute laptop bag with shoulder strap to go to work or head to the nearby book coffee shop. There’re a lot of different designs to choose from. You can have a beautiful apricot bloom landscape to cross stripe. Based on such highly protective material construction, it’s safe and secure to place your precious laptop in without need of its cover. 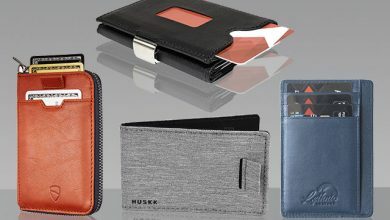 Other than that, on the outside, you will get one extra pocket which is huge enough to fit a notebook, an iPad, A2 file document or wallet. This pocket is opened but don’t worry, its mouth is very elasticity plus, the pocket is tight and flat so that it can keep everything in place without unwanted falling off. With this, you will get a 12-month warranty, so, just buy it with confidence. 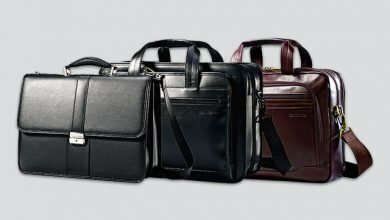 Similar to the Hestech, this Dachee laptop bag includes two dividers, one zip-around major compartment for a 15” laptop and one full-length zippered pocket on the backside. In term of capacity, I find this one is a little bit more spacious than the previous. I mean the extra compartment, it can accommodate mouse, adapter, notebook, iPad, wallet and stuff like that. However, as it figures a slim and flat compartment, if you intend to put your mouse in there, remember to cover it carefully beforehand. Otherwise, its right-click and left-click will be out of function soon. The biggest differences between this and the Hestech are firstly, their design style and secondly, the big pocket attached on each side of the Dachee laptop bag to hide the handles. 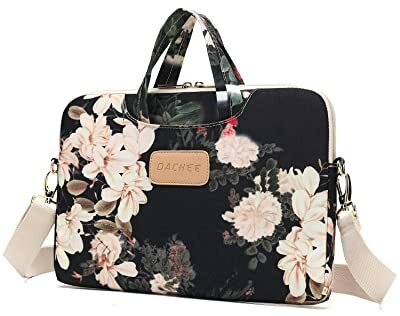 In Dachee, you can easily get many beautiful, cute and feminine floral designs, from beige rose, to black cactus. If your concern is about the material, this one is made out of 100% high-grade canvas with emphasis on durability, water resistance, and long lasting. Other than that, its removable adjustable shoulder strap is also worth mentioning. It’s canvas, too with flat silhouette and nicely rough texture so that despite how much stuff inside the bag, you can now carry it with painless. For those who prefer the laptop tote bag, this cute Overbrooke model might be what you’re looking for. Its colorway is very bright, energetic and feminine to be a good choice of 20s ladies. While many other tote bags are usually opened with just a strap, which is so insecure, I particularly love this one for its full-length zipper. It just takes you 2-3 seconds to unzip, but then when not in need, you can feel ease in mind that all your precious stuff is safe inside there. This also avoids the risk of thieves as well. Aside from this major zippered compartment, you will get 1 extra smaller zippered pocket inside, aside from a laptop sleeve with strap. I consider this sleeve isn’t padded as thick as the Dachee or the Hestech, which is why I usually toss it with a cover. This storage space is normally spacious enough to fit a 15.6” laptop (without cover), or a 15” (with cover). The choice is up to you! 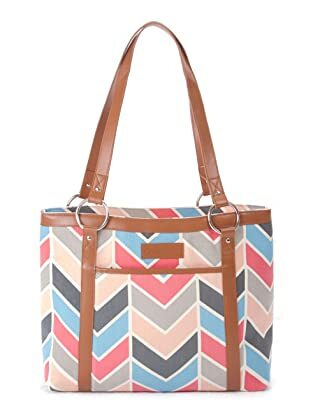 The best part about this tote is its rear fabric, it fits nicely the over rolling luggage and when not in need, just zip it up and you will get one more outer pocket for your regular stuff. Nice! If you’re wondering about its durability, this cute laptop bag with strap is crafted only from high-quality materials, including vegan leather, cotton canvas and nylon lining. Besides, you also have a 1-year limited warranty. So, feel free to give it a try! This Aupet laptop bag has the same construction as the Hestech: Made out of water-resistant neoprene material, including one zip-around compartment and one extra outer pocket, and the adjustable detachable canvas shoulder strap. But in this one, they use double zipper design that you can zip/unzip on either side, which is much more convenient. Besides, is the difference in design. In Aupet, there are a lot of cute and adorable painting for you to choose, such as the blue shining stars, the colorful tree, the cats, the high heels, the music notes and so on. And if this is your very first time trying their products, you can rest assured as they also provide a satisfaction guarantee that up to 1 year to assure your happiness with the purchase. One good thing about RICHEN is they offer many sizes of a laptop bag design. 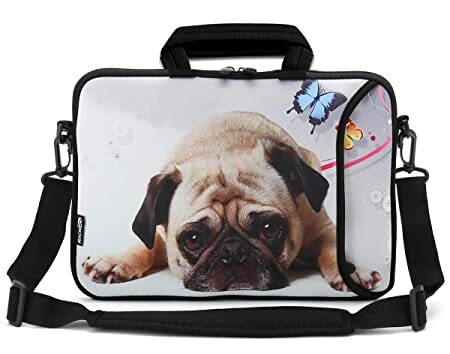 For example, if you love the cute pug model, you don’t need to worry if it had the right size for your laptop or had to switch to another design because there’s no size for yours. That sad fact is now gone! Their laptop bags can fit a 7” laptop as a small size and maximumly is a 15.6” one. About the construction? It’s same as the Aupet with one double zippered compartment for laptop, and one extra outer pocket where you can toss in adapter, USA, mouse, wallet, and other regular stuff. With tight and elasticity rim, you don’t need to be afraid of your essentials falling off the bag unwantedly. And now, is the material. It’s 100% super soft neoprene material that can be waterproof lightly and washable. The best thing is the painting on its both sides won’t be faded from time to time. In the bad luck, if yours peeled off, you still had their satisfaction guarantee backed for that default. So, just feel ease in mind. 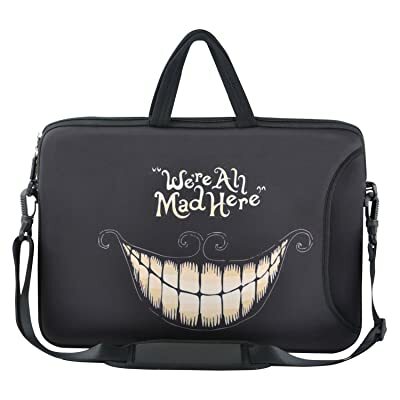 My next suggestion is the Kayond Cute Laptop Bag for Work. With this design, you will have two handles to carrying it in a professional way and a removable adjustable shoulder strap to keep your hands free. 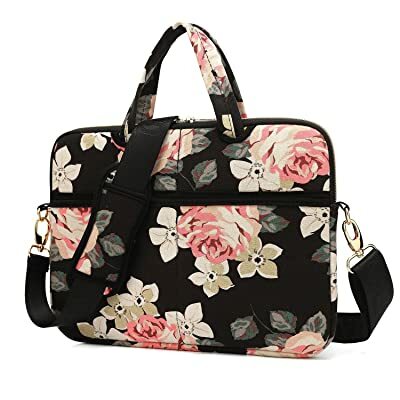 Besides, as featuring a slim and flat silhouette, this bag is compact to carry around and create a perfect office style but don’t be too boring thanks to the beautiful floral printing. There are two size options to choose from: The 13-13.3 and the 14-14.1. I also researched a little bit about this brand to know how much biased they are to floral patterns. Aside from this flower design, there are still many other floral ones in different styles, from artsy to cute. Now, talking about the functionality, this bag comes up with a thick, well-padded laptop sleeve so that it works well on carrying and protecting your precious laptop against bumps, collisions, and drops. The material itself is waterproof lightly and durable as well. In generally, this is really worth a try. For girls who are looking for a cute laptop bag for school or university, this is my high recommendation for you. Though TAIDY is a newcomer in the laptop bag world but it sooner gains a lot of trust and love from customers worldwide. I guess it’s thankful to the high-quality material and diversity in designs. 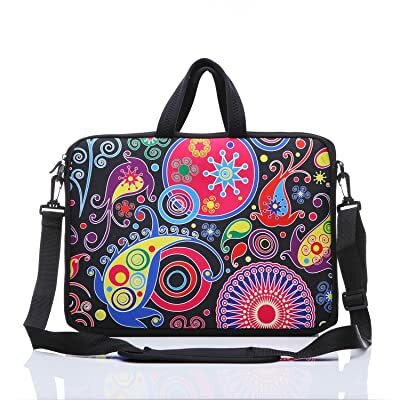 In TAIDY, you can easily find out a cute laptop bag covering over a wide range of laptop sizes. If you don’t prefer this red heart, there are still some other options to choose from, such as the colorful flower, the blue, the purple, the grey cat and the pink butterfly. The TAIDY one that I suggest to you sizing 11 x 0.6 x 9 inches, fitting nicely a laptop within 7” to 10”. I think this size is perfect for students because they usually use a small laptop just to serve their studying. Besides, the bag itself is incredibly small and lightweight to carry around with ease. One last thing is the capacity, it’s spacious enough to keep not only your laptop, but also your other essentials, such as notebook, iPad, mouse, adapter, and wallet. 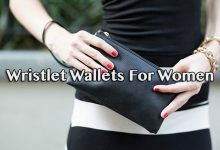 I also love their various carrying ways, from the handles to the adjustable shoulder strap. It helps with keeping your hands free when in need. And lastly, is the price – very affordable in a long run. For laptop sizing within 15” to 15.6”, this is another good option for it. 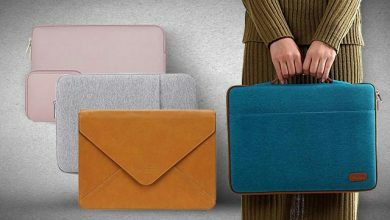 Aside from its wonderful colorway on the outside, the laptop sleeve is leveraged with thicker material for better protection. The bag is crafted from soft Neoprene material, emphasizing with water and scratch resistance. Besides, thanks to this material wise, the bag itself is also good at preventing dust as well. 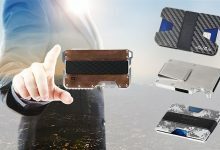 Besides, the zipper as well as other hardware parts are invested with only high-grade material to ensure the hardest texture and durability. One thing that impresses me a lot – the quality of its colorful design. While with other similar counterparts on the market, its color or printing just fades out after a couple wash, this isn’t the one. not only you can machine wash it or even use a dryer, but the colorway is also durable and stays new all the time. I’ve been saving this to last for how cute it is. 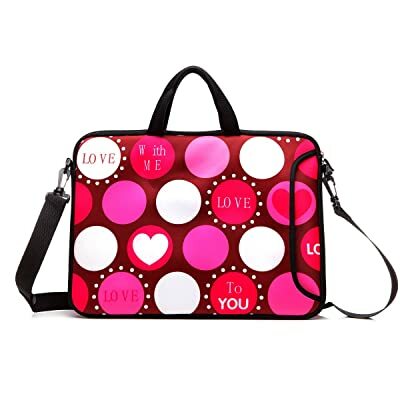 I’m sure that any girls will “aww” when looking at this cute laptop bag from Kamlui. Its construction is also different from the rest in this collection. Despite its two compartments, the major one can fit everything you need, not just a laptop. But don’t worry, there is a separate sleeve inside with strap to it safely and scratch-less from other stuff. 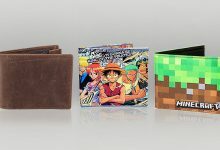 Inside this, you can put in headset, wallet, adapter, mouse, laptop, A4 size magazine/document, smartphone, and so on. On the outer zippered compartment, it’s perfect for paper document, or other less important but regular access. In general, the capacity of this bag is much more spacious than other counterparts in this list with same quality and durability. Despite such heavy load, the bag doesn’t show any signs of fraying stitching or torn zipper or wears and tears, especially the printing, it still looks like new. It sounds too good to be true, right? So, I bet its 1-year warranty will give you more confidence to give this cute laptop bag for girls a try. I’m really glad that you read this collection to the end. Have you found out your most favorite? I’m glad to see your pick in the comment section below. 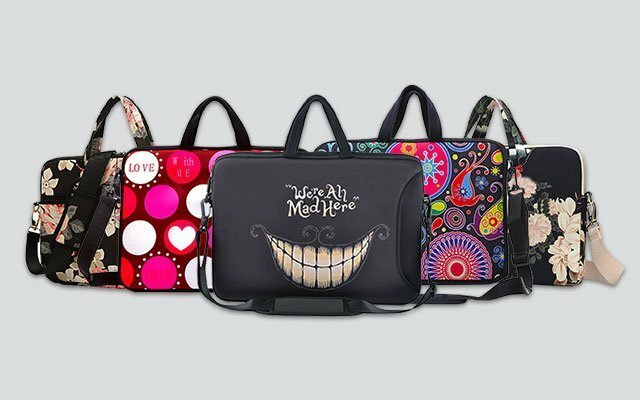 Or, if you have got any interesting suggestion to me and other readers about cute laptop bags, don’t hesitate to share with us. Anyways, thanks for your reading!